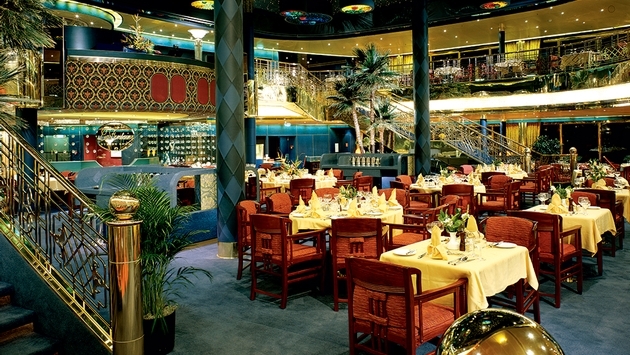 Gone are the days when your only dining options at sea involved fixed seating and the midnight chocoholics buffet. 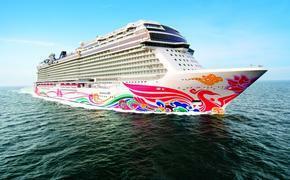 Today’s cruise passenger knows that their dining options are limited only by their imagination and days onboard. Flexible dining was a revolutionary idea when it first came into being all those years ago, and today’s myriad dining options give it new meaning. From intimate candlelight meals in their Pinnacle Grill to a poolside taco bar with all the fixings and everything in between, cruise lines such as Holland America are redefining the concept of “As You Wish” dining with as many ways to dine as there are seas to sail. For the foodie in all of us, there’s the Culinary Arts Center, presented by Food & Wine magazine. Each experience takes place in Holland America's state-of-the-art demonstration kitchen and offers passengers the opportunity to discover their inner chef through hands-on cooking classes, regionally inspired workshops that uncover the secrets to preparing traditional dishes, and appearances by special guest chefs from around the world. There’s even something for the junior gourmand with demonstrations teaching kids and teens about cooking techniques, kitchen safety and more. For those more interested in answering the question “What would you like to drink?” than “What’s for dinner?” the Culinary Arts Center offers winetasting and mixology courses where passengers can learn to mix both classic and hip cocktails, courtesy of the ship’s bartenders. Oenophiles, meanwhile, may partake in two winetasting levels —Navigator Wine Tasting or Premium Wine Tasting — hosted by the Cellar Master and Party Planner. The eponymous restaurant, The Pinnacle Grill, sets the tone onboard all Holland America ships, offering cruise passengers a romantic setting for an intimate lunch or dinner with dishes inspired by the Pacific Northwest. From fresh seafood to sustainably raised beef from Washington State's Double R Ranch, a meal at the Pinnacle is one passengers won’t soon forget. And while dining at Le Cirque is a once-in-a-lifetime experience, for Holland America passengers it can be a once-in-a-cruise experience. Working with Le Cirque’s Executive Chef Craig Hopson, Master Chef Rudi Sodamin has re-created the famed restaurant’s whimsical ambiance to present “An Evening at Le Cirque” at least once a sailing, right down to the amuse bouche served on Le Cirque’s very own orange china. Those seeking a more relaxed dining experience need look no further than the Lido Restaurant. Situated at the top of the ship and serving breakfast, lunch and dinner, the Lido offers a wide variety of selections to suit every taste. Can’t tear yourself away from the pool? No worries. Dive-In at the Terrace Grill has it covered with everything from a grilled burger on brioche to a portabella mushroom stack. And, when the craving for a little lagniappe strikes? Well, there’s plenty from which to choose. Tea is served daily in the dining room, ice cream treats are on offer each afternoon in the Lido, cocktail hour brings with it a sampling of tasty hors d'oeuvres and late-night snacks are available just when you’d want them. And, in the event any guest is left wanting more, 24-hour in-room dining is just a call away.